The new version of the Arduino Mini (04 that is) might be a little tricky to setup, mainly due to misleading or just false information from the arduino.cc documentation. The documentation is obviously focused on the old version of the Mini, which was based on an ATMega168. In addition to that, the documentation for the USB2Serial light module is also not very extensive. As you can TX and RX of the Mini and the USB2Serial module are cross-wired. Also, there is a 100nF capacitor wired between the EXT-Reset Pin of the USB2Serial and the RESET-Pin of the Mini. I highly recommend that because the Mini 04 is very picky about the timing of the reset before uploading a new sketch. While connecting RESET like that will enable you to easily upload new sketches, it might create some problems when your sketch needs to receive any kind of data on startup via USB (read about this problem here). 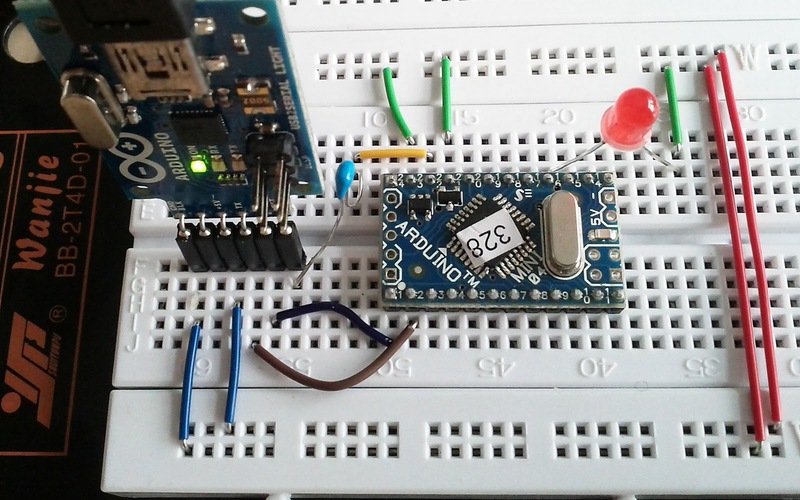 After the wiring the next problem appears: The arduino ide offers a configuration for the Board "Arduino Mini", which is unfortunatly only for the Mini 03 with an ATMega168. 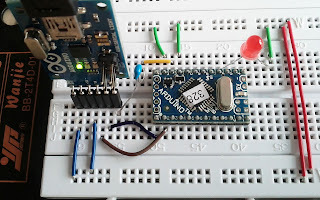 So, for a Mini 04 set the Board config to "Arduino Pro or Pro Mini (5V, 16MHz) w/ ATMEGA328".